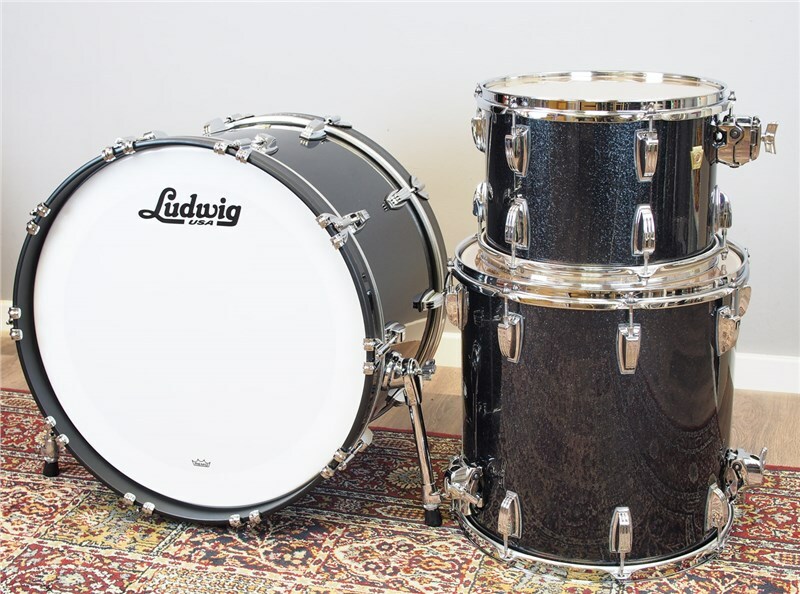 Featuring a new formula shell of 7 plys of north American maple and hosting exotic wood finishes and eye catching lacquer finishes this is a Ludwig offering in a more "New School" set offering compared to their traditional and innovative approach during the 50's 60's and 70's. 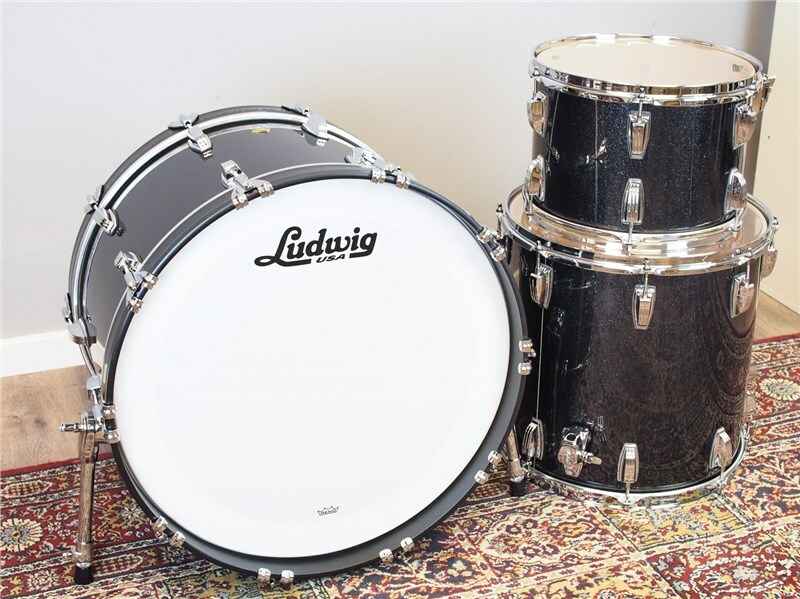 The trends and the manufacturing process were moving on and Ludwig rather than sticking 100% to their USP decided to go into R&D and production of a new standard, a kit which other companies would try to replicate. 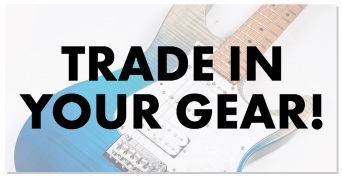 Taking a step away from the classic round tones of the Legacy series. 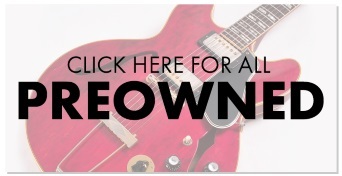 This kit is a real modern drum kit, featuring all the things you would expect. Cross laminated plies for increased strength and stability, 7 thin plies of choice Maple and a very sharp 45 degree bearing edge. 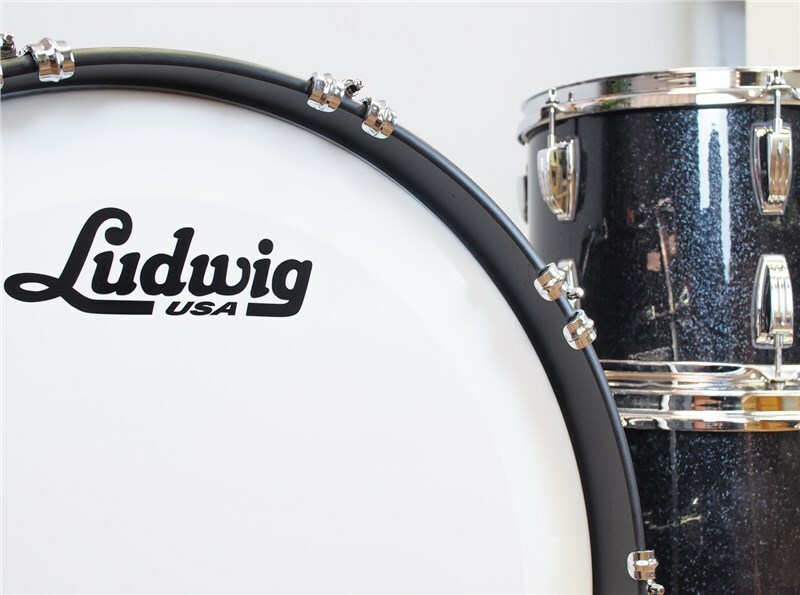 The original "Classic Maple"
Please Note** This is a 3 piece shell pack, No hardware or cymbals included. 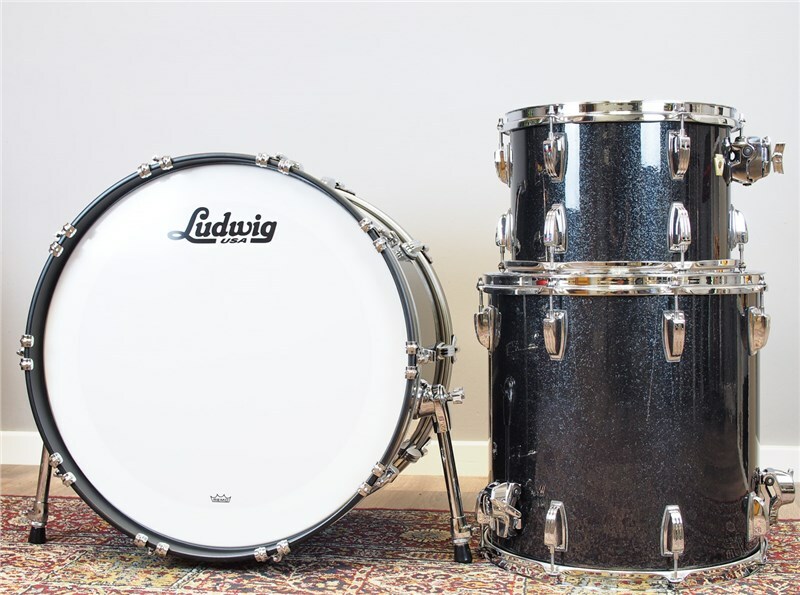 As this exact kit has been played in the video above, we will offer a FREE re-head of the toms, please call the drum shop on 01273 665414 to discuss your requirements.